Paddle along North Lake Leelanau and through the beautiful Leland River! Clear blue water, scenic views, lunch along the river, and time to explore historic Leland and Fishtown! 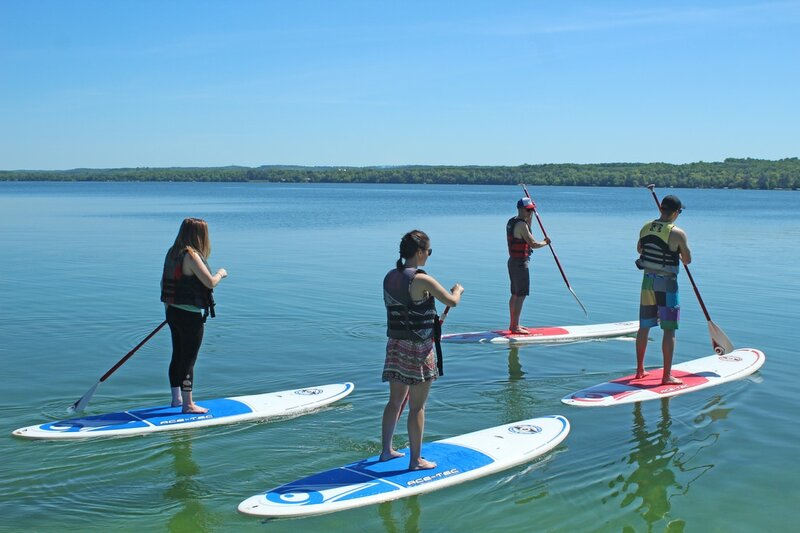 On this tour, our guide will lead you on a casual paddle along one of Lake Leelanau’s most scenic stretches of water, ending upriver in the quaint fishing village of Leland. Here, you will enjoy lunch overlooking the river and have time to explore the Leland’s boutique shops and its historic district, Fishtown. During the paddle, our local guide will point out scenic vistas and landmarks along the shore, and will provide an overview of Historic Leland and what to expect when exploring after lunch. Surrounded by incredible natural beauty you will want to stop and take it all in, and that is no problem. We will pause to take photos of our tour guests along the way, but feel free to bring your waterproof camera! You will want it for the memories! 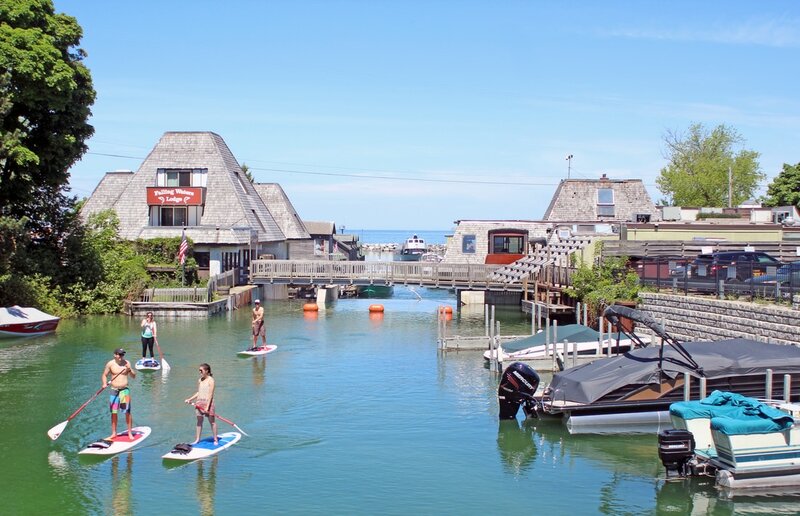 This tour is a unique and carefree way to experience scenic Lake Leelanau and visit the village of Leland. You will need to paddle yourself along the shore, but we will take care of the rest! Lunch will be waiting following our 1.5 mile paddle, and Leland will be yours to explore at a leisurely pace. Wine tasting available after the paddle at Verterra winery. This tour is great exercise, and can be handled by all paddleboarding skill levels. 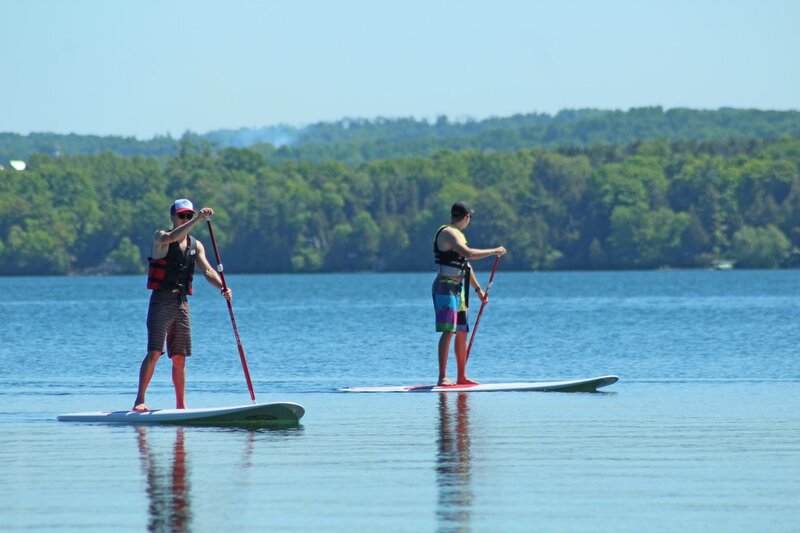 Before embarking on the tour, our guide will provide an introductory lesson on paddleboarding, ensuring you master the basics and have a fun, safe experience with us on Lake Leelanau. Full pre-payment required to confirm your reservation. Cancellations made 24 hours before the start of the tour are allowed for a full refund. Cancellations made during the 24hrs before the tour are subject to a $5/person admin fee, weather related exceptions are allowed, see below. In the event of heavy rain or high winds please contact us to cancel or reschedule your tour. Weather related cancellations are accepted before 10:00am on the day of the tour for no penalty.